Reality Bridge Magazine presents cutting edge content exploring our world and the nature of reality. We publish articles covering quantum physics, cutting edge technology, cutting edge health concepts, consciousness, spirituality, mind, paradigm shifts, cosmological changes, discoveries about our universe, new scientific discoveries, edgy political and financial information. 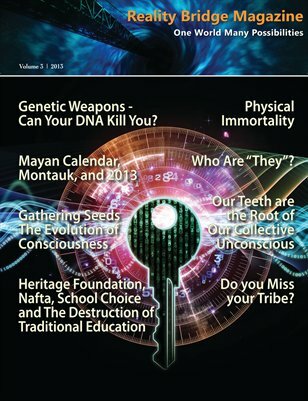 Reality Bridge Magazine steps outside the box by asking thought provoking questions. The magazine is divided into two magazines in one; Reality Bridge Magazine and Bridge to Health. You will find cutting edge products advertised. The publication is rich, diverse and edgy.